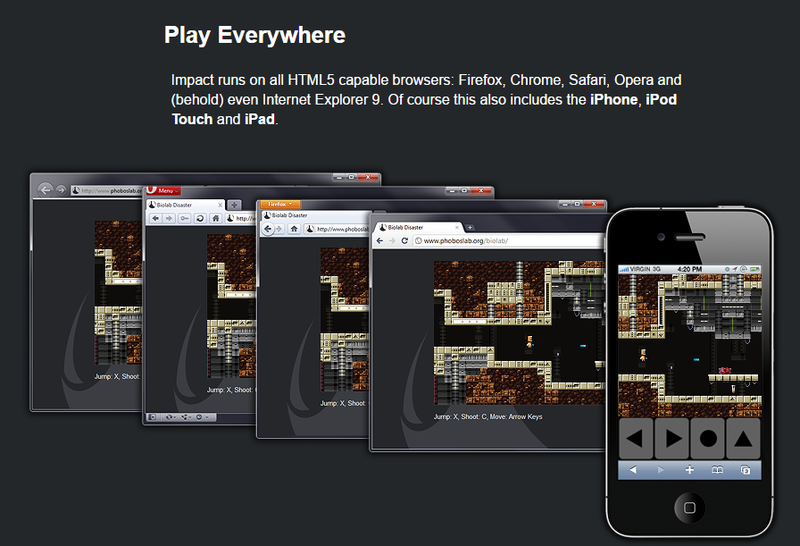 When you think of HTML5 game engines, the first that should come to mind is ImpactJS, and that is for good reason. Games made with this engine have been played millions of times by just as many people from all walks of life. You write the code once in ImpactJS, and it plays everywhere. 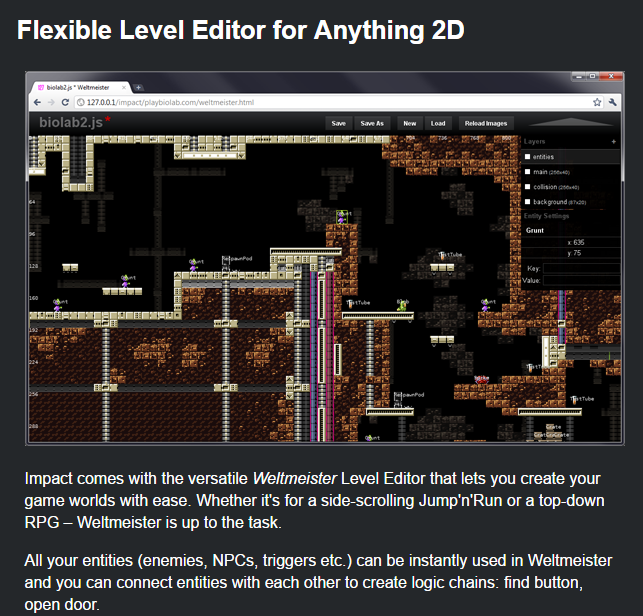 Included within it is a robust level editor allowing you to create detailed and in-depth worlds for the player to get lost in. Also included is the Ejecta framework which permits the publishing to AppStore with near-native performance in your application. The debug tools included are also robust and powerful, and ImpactJS is well documented so you can get started in a matter of seconds. Go see for yourself what the hype is all about here.